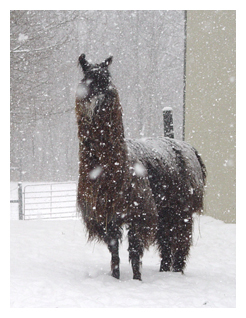 Shagbark Ridge Llamas, now combined with Hamilton Co. Llamas, Inc., offers llamas for sale, basic llama information, veterinary information, herd management, showing and training tips, 4-H information, and fun and games with Cappy. With rolling pastures and a rambling creek, our farm is only minutes north of Indianapolis. In building this herd, we have carefully selected our animals from diverse bloodlines and have bred for strong conformation, a stretchy balance, silky fiber, and nice personalities. In our herd, we appreciate and show both traditional and suri fibered animals - all well trained for the show ring and performance classes. Shagbark Ridge Llamas built the foundation of this herd for nearly 30 years. In 2015, upon retirement, Jim & Marilyn Nenni donated the llamas and equipment to their 4-H llama club in order to see that llamas and youth continued in central Indiana. This group, now a non-profit organization, became Hamilton Co. Llamas, Inc. Operating similar to a co-op and averaging about 80 youth members each year, the youth and families work together managing this growing herd. The Nenni's are still involved with the Board of Directors, committees, and as 4-H leaders. Retired from the total upkeep of a farm, but still greatly involved with the llama industry. Youth membership in Hamilton Co. Llamas provides each youth with a llama to train and show each year at the Hamilton Co. 4-H Fair. Memberships are for one full year thus offering the youth many other llama group activities than just the fair. This is an ideal association for youth who love animals and would like to pursue a career with animals, science, or animal health. More information about joining Hamilton Co. Llamas and registration forms are here. Please don't hesitate to contact us with any questions about our program or membership. 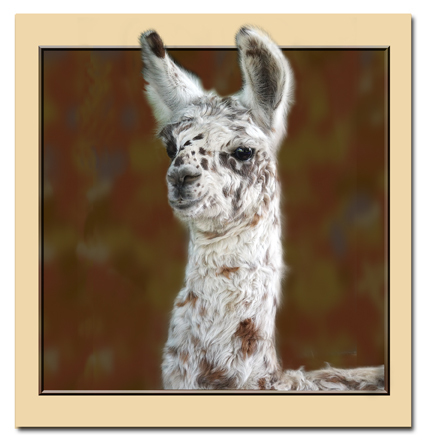 We invite you to view our llamas and share our enjoyment of this exceptional livestock program. you with this INDEX to search for topics that may be of interest to you. Select Topics From This Menu All About Llamas Aggressive Behavior In Llamas Angular Limb Deformity Are You Going To Buy This Llama? Art - Llamas & Alpacas Barns & Shelter Basic Facts About Llamas Behaviors of Male Llamas Birthing Birthing Photo Slide Show Body Parts Of The Llama Books For Llama Care Breeding Brown Recluse Spider Bite Castration Characteristics & Habits Christmas Ornaments Chutes for Llamas & Alpacas Coanal Atresia In Llamas Cold Weather Management Conformation Conjunctivitis Cria Care Crooked Legs Dangers On The Farm De-Worming Do Llamas Spit? Emergency Cria Warming Experiences With Guard Llamas Feeding & Nutrition 4-H Club Feet, Pasterns, & Pads Fiber Washing Fighting Teeth Removal Forage Testing Gelding Guard Animals Hair Loss Health, Care, & Management Topics Heat Stress Help Questions & Replies Llama CD Games Llama Games Llama Jigsaw Contests Llama Management Llama Quiz Bowl Llama T-Shirts & Sweat Shirts Letters To Cappy Lice Mad Cow Disease Male Llama Behaviors Manure Management & Composting Medical Index Medical Supplies To Have On Hand Meningeal Worm In Llamas Nail Trimming Nutrition Pad Problems Parasite Control Pastern Purchasing A Llama Predators Ringworm Seasonal Hints For Llama Care Showmanship Success Show Ring Etiquette Skin Disorders Sling For A Llama Snake Bite In Llamas Stomach Of A Llama Supplies For The Farm Tipped Ears Ulcers Uterine Torsion Youth & 4-H Go there! Tall, heavy wool, beautiful feminine face, performance trained. 3 year old Female, Readty to Breed. Blended colors of gold, silver, & cream suri fiber. Ready or not, winter is on the way. Time to prepare for winter weather on the farm and make sure our animals are comfortable and well cared for. Here are some helpful hints for these fall chores! !